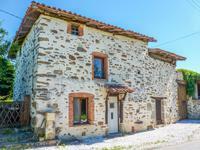 Situated just 5 minutes (4km) from the centre of the town of Rochechouart, this spacious . . . Originally 2 houses, this spacious property offers 4 bedrooms, kitchen, lounge and 2 further . . .
Beautiful 2 bedroom, stone house with attached barn and garden - ready to move straight into. . . . The property comprises 1 room (27m²) on the ground floor with a fabulous stone fireplace. . . . Perfect 2 bed bolt hole in a medieval town with all amenities on foot. Open plan lounge/diner/kitchen (21.5m²) on the ground floor with large cupboard for the . . . This lovely property offers a rare opportunity to find a character property with attached . . . This pretty house is ready to move into today. Large lounge/dining room with fabulous views, . . . Very well priced 2/3 bed house to modernise in parts but immediately habitable, with attached barns and land opposite. 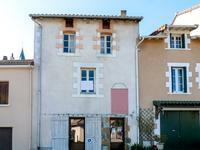 Substantial, classic French property with 2 large bedrooms on the first floor and bedroom and . . . Situated on a quiet one way street and with one of the most sought after views in the area, . . .
Lovely, character town centre property with 3 ensuite bedrooms currently run as a B&B. Situated in the centre of the medieval town of Rochechouart with choice of restaurants, bars . 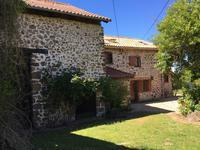 . .
Barn of approx 80m² footprint with new roof and plans to create a 2 bed house, situated in a . . . Situated on the very edge of a pretty hamlet and with lovely views overlooking the extensive . . . This property offers an investment with a commercial space and apartment above and/or rental . . .
Well renovated 2 bedroom house with mains drains and new central heating system. Attached . . .
Immaculate and very spacious 2 bedroomed town house with attached garden and private parking. . . .
Constructable land of 1157m², gently sloping, with a lovely view, just 3.5km from the . . . Wonderful gallery space of 45m² on the ground floor, with workshop or lounge and kitchen . 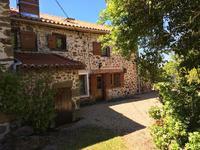 . .
Ready to move into and run as a very successful gite for many years, this character property . . .